Well it didn't seem to be such a bad turnout on Friday night after all.....thank you so much for all my well wishes.....my virus seems to be a lot better after a few long sleeps and cold and flu drugs (and the good ol' eucalyptus oil). 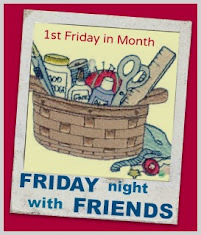 We had 28 friends virtually stitching together, in complete home comforts, all over the world....don't you just love blogging? Whatever did we do before the internet? 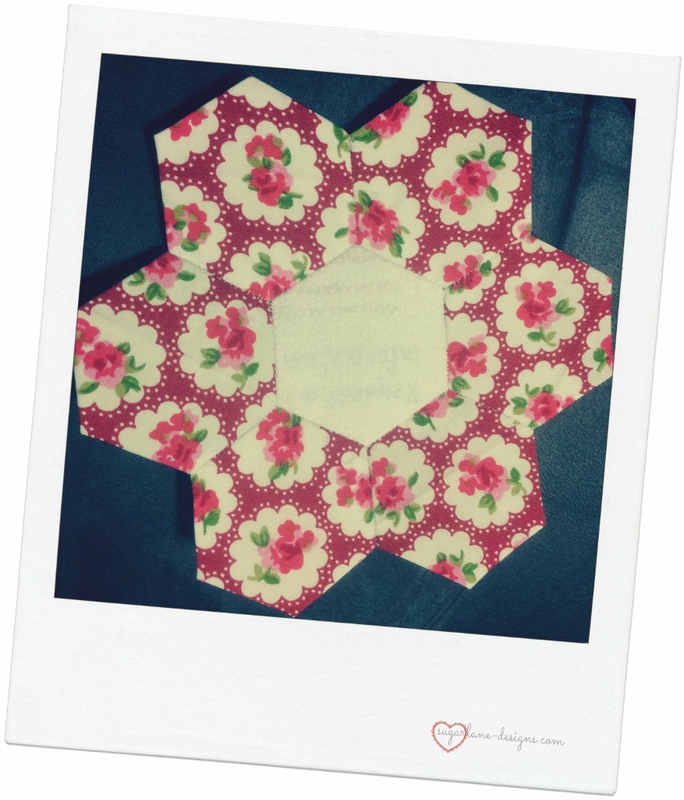 I started with a hexi for our craft groups hexi swap. I'm loving the colour and don't really want to give it away. Might have to make another! 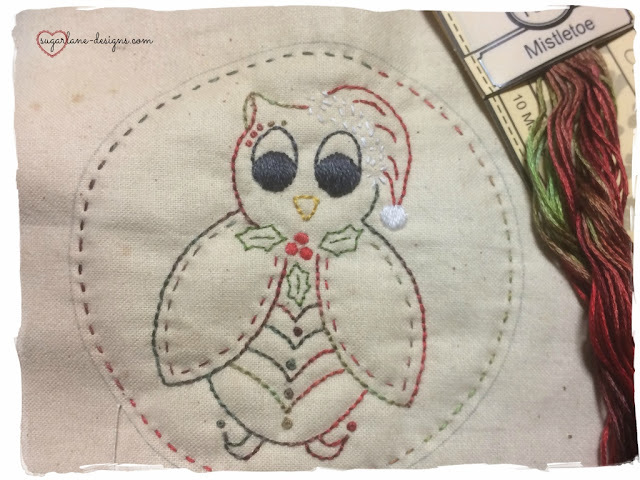 I then had a little mini project in mind, to make a very simple hexie needlebook, which I'm thinking of doing a tutorial for.....what do you think? It's a sweet little design that doesn't take long to make, I had it finished in a night (another for my OPAM list) so would be a great last minute gift idea for a stitching friend. 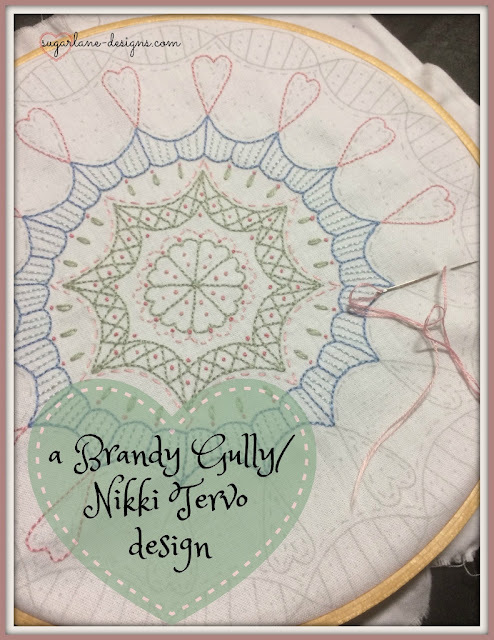 Then as the night drew to a close, I managed a few stitches on another Nikki Tervo Design, which is always on standby. I'm loving the colours and the tranquility these blocks give me. So, that's my FNSI and what happened at Sugarlane. Have you had a chance to see my other 27 friend's projects they were working on on Friday night? Always an inspiration, so I recommend popping by for a look. And I haven't forgotten....Friday was St Patrick's Day, a day of celebrations of the foremost patron saint of Ireland, and I promised our prize would be green in recognition. 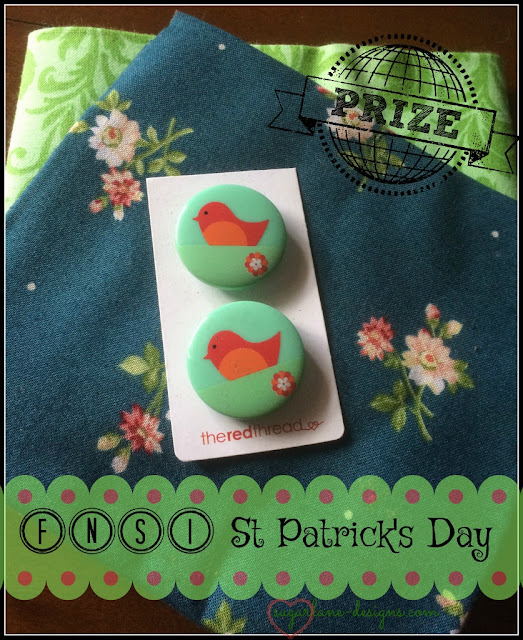 Maybe not the actual patron saint, but who doesn't love little birdies, along with some gorgeous green fat quarters? Melanie's one of my friends I spent time with in Adelaide at Let's Get Stitched. (I promise, Mr RNG is totally unbiased) and she's been too busy working and not spending enough time on 'fun' stitching. A great welcome back Melanie! Talking about work, I must head off. The boss will be standing at the door tapping her watch! 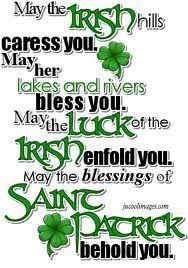 May the luck of the Irish be with you all year around. YAY to Melanie...I did sew....but was away in Nundle so didn't sign up - believe me there was a lot of sewing going on - by a lot of people! So many lovely finishes! 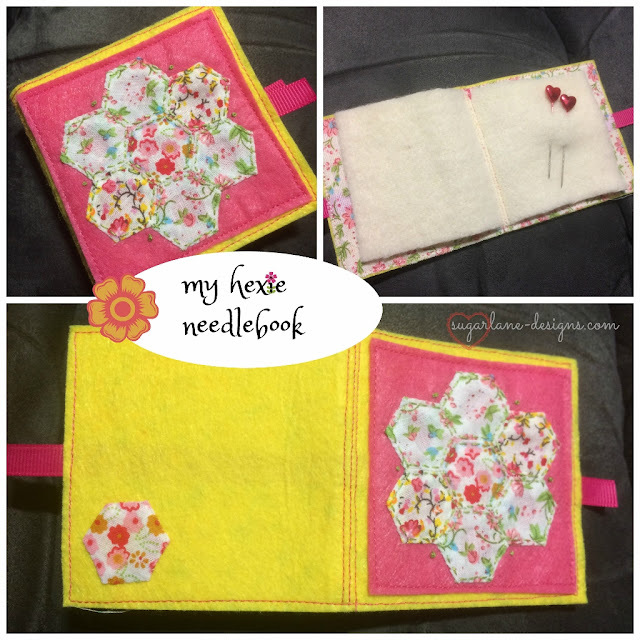 Love your hexi needlebook. Congratulations, Melanie! 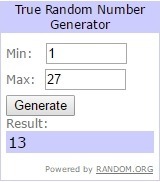 See everyone next month! You did accomplish a lot! The needle book is very cute and I love the last stitchery. Congrats to Melanie.